Step away from stressful daily routines and patterns that are keeping you from feeling the joy of living and expressing in a vibrant healthy body. Step into a holiday that will change your life in just a few days. Give yourself the gift of joyful transformation and increased energy within a spirit of play on Big Island Hawaii. Our skillful facilitation and the nurturing relaxed island lifestyle are guaranteed to promote your health and wellbeing. Begin a Wellness journey and return to a state of balance between Mind, Body, Spirit. …Awaken your Spirit…Heal your Heart… Change your Life… Remember Joy. 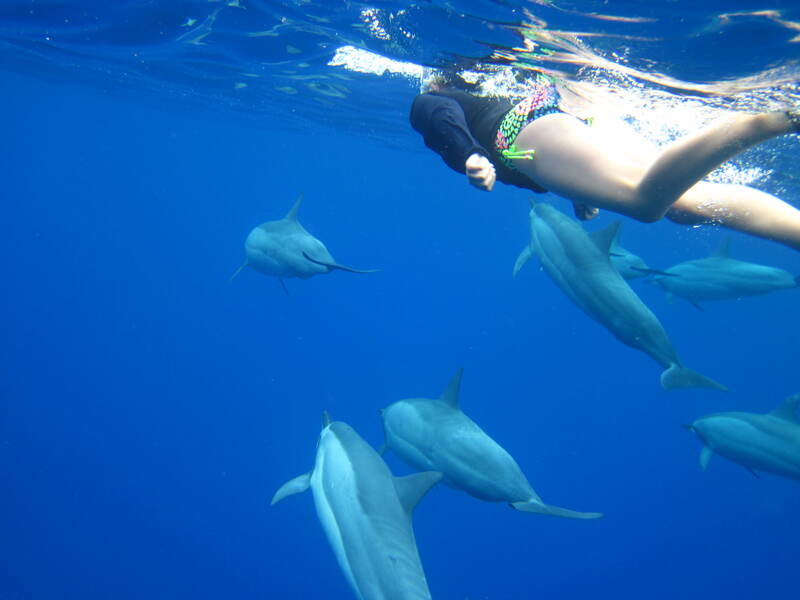 Imagine and feel your Joy as you look eye to eye with the dolphin…move your body as gracefully as the awe inspiring mantas…learn to swim allover again by these powerful underwater teachers. 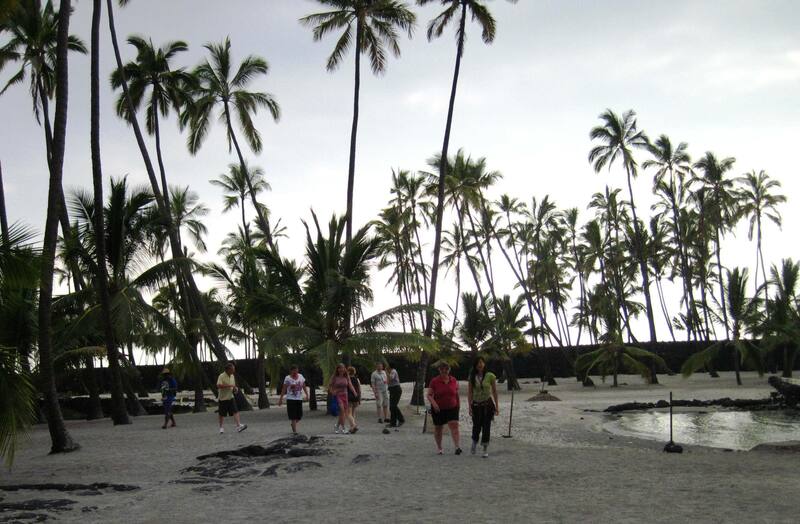 Feel the strength and vitality surging in your body as you hike and interact with Hawaii’s natural beauty your body warmed up, stretched and prepared for the days activities. Your sumptuous meals he artfully prepared with locally grown fruits and vegetables will give you the proper nutritional balance to carry you through this healing retreat and give you the knowledge to guide you in your future meal preparation. 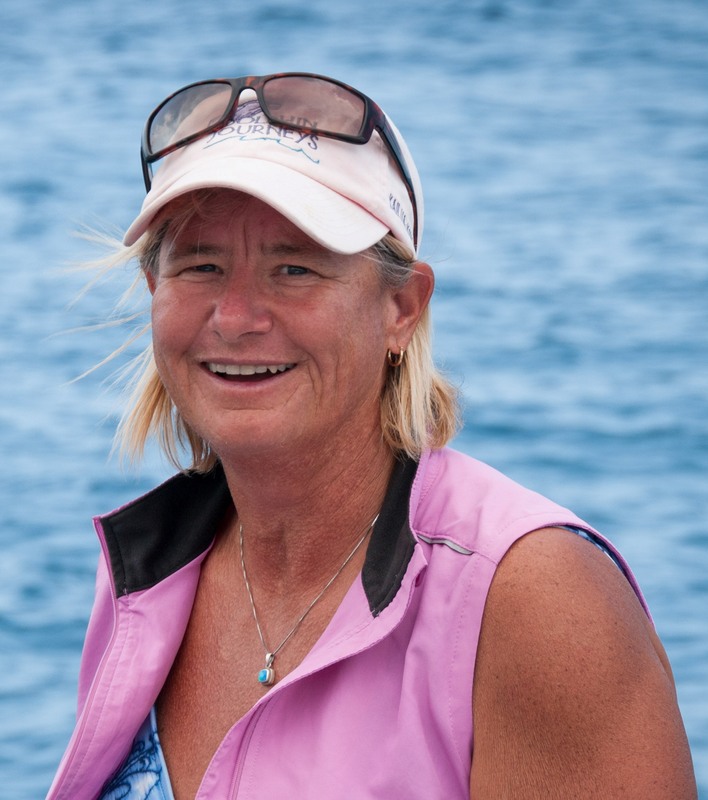 Our Captain Nancy Sweatt passionate about marine ecology, personal growth and the Dolphin spirit connection began her business Dolphin Journeys in 1996 here in Kona, Hawaii after years of healing interactions guided by the dolphins. Joyfully Spirit guided, Nancy on her own transformational journey to peace of mind and improved health. Focus is on nutrition and exercise combined for ultimate health and Mind Body Spiritual Well Being. Their vision will provide you with the environment, powerful tools and techniques to have the changes you experience last a lifetime bringing you home to yourself. Let us Light the Light of Love on your Vacation/holiday! This is a vacation/retreat that will change your life! Your heart will sing – you may touch bliss as the dolphins connect with you and share their joy. The time to shift has come – change your thinking- change your life. The dolphins and those who love us want us to stop delaying our joy until that mythical “someday”: It is time to live our lives to the fullest now! Dive in – LIFE BEGINS NOW!